This article is about how to install hardwood floors on the concrete, as this topic is becoming increasingly popular among customers, contractors and floor installers. The fact is that the builder’s skill and quality of building materials always pass a tough test and the nail down installation method becomes less popular in modern construction. 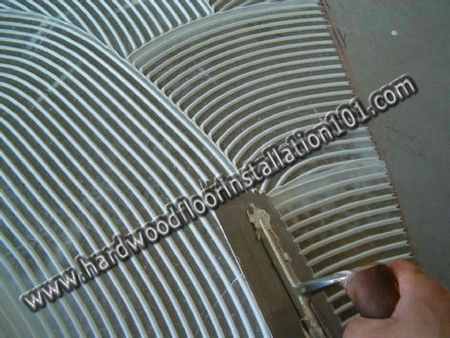 Of course, if the concrete slab has wooden joists, then you still have the opportunity to prove yourself as a man who knows how to make hardwood installation with the help of nail tools. Nevertheless, builders will dictate new conditions and other installation methods. So, how do you install hardwood on a concrete slab? You have two options – to set a floating floor or install it using the glue down technique. By the way, you might be familiar with these techniques, knowing how to install this kind of floor on plywood/wooden subfloor. What is a floating floor? This floor is not attached to any subfloor by nails, glue, or staples. It is constantly “in motion”, so that’s why it is called a “floating” floor. Strictly speaking, this is one of the varieties and methods of floor installation. Floating floor can be installed using various types of hardwood or laminate and different types of wood. For floating floor you should use an underlayment. During the installation near the wall, leave more space than usual. This is done to ensure that the floor could move freely and “floating”. When you install transitions to floating floor, also leave a gap between the bars and transitions slightly wider than if you did, setting the floor in other ways. 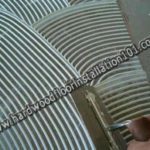 About how to install hardwood floors on concrete slab with the help of glue down technique, I can talk a lot and forever, because this is my favorite installation technique. I can honestly say once you’ve mastered it to perfection, you will have a large number of customers and contractors who want you do that work for them. In fact, everything looks simple enough. First you apply the glue on the part of subfloor, and then lie a wooden board down on. You do not need to spend a lot of physical strength, as you would have done by installing the floor with nails. I want to say that the method of installation glue down looks simple at first glance. Just try to do it and you immediately realize what a big “headache” you have to win. To learn glue down techniques, you’ll need to find a good master, from whom you could learn. Masters, who are able to install wooden floors on concrete slab and plywood with glue down techniques are not so much. So take a time to get experience and sooner or later, you’ll see how your bank account will increase considerably. For more tips on how to install hardwood floors on concrete or on wooden subfloor, read more articles on this website.